Chinese tech giant ZTE says it has ceased “major operating activities” following a ban that prevents US companies from selling hardware and software to the firm for seven years. In a filing to the Hong Kong stock exchange, ZTE said it had enough cash to maintain its commercial obligations, but the situation looks bleak for China’s second-biggest smartphone maker. Last year, ZTE admitted to violating US sanctions by selling US-made technology to Iran and North Korea. The company paid $890 million in fines and said it was in the process of reprimanding the executives responsible for the scheme and would deny them their bonuses. But the company failed to live up to the promise, handing out full bonuses and only firing four employees while retaining 35 others who broke the law. In response to this "pattern of deception, false statements, and repeated violations,” the US Commerce Department issued the ban in April. Reports say that at least 25 percent of ZTE’s components come from US firms, such as Intel and Qualcomm, which supplies chips for its smartphones. The ban also covers Google's suite of standard Android apps. 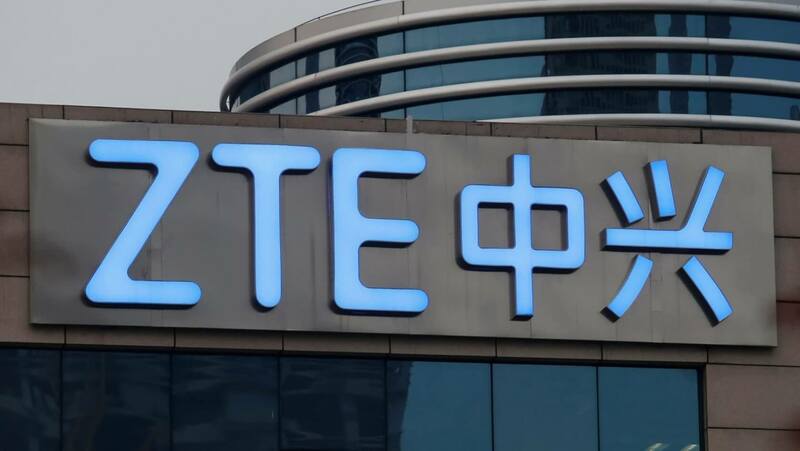 “The Denial Order will not only severely impact the survival and development of ZTE, but will also cause damages to all partners of ZTE including a large number of US companies,” ZTE said, at the time of the ban. Analysts say that even if it uses non-US suppliers, ZTE could struggle to stay afloat. Reuters reports that Taiwanese firm Mediatek received a permit from the Taiwanese government to keep selling components to ZTE. With the DOC opening up an investigation into similar violations of US sanctions on Iran by fellow Chinese phone maker Huawei, a full-blown trade war between America and China could already be here.